Although none of the institutions listed below can lay claim to being any of the oldest universities in the world, three date back to the 17th century, and all of these historic US universities date back to before the American Revolution commenced in 1765. Five of the universities below are also members of the prestigious Ivy League, and all have managed to combine their rich historic heritage with a continued commitment to development and innovation. Located in Massachusetts, Harvard University was originally called New College. The name was subsequently changed to Harvard College in honor of its first benefactor, John Harvard, who bequeathed half of his monetary estate and his 320-volume scholar's library to the university in his will. As well as being the oldest university in the US, Harvard is also one of the world’s most prominent, currently ranked second in the QS World University Rankings®. In the QS World University Rankings by Subject, it’s placed first in the world for the broad subject area of life sciences and medicine, and second for arts and humanities. 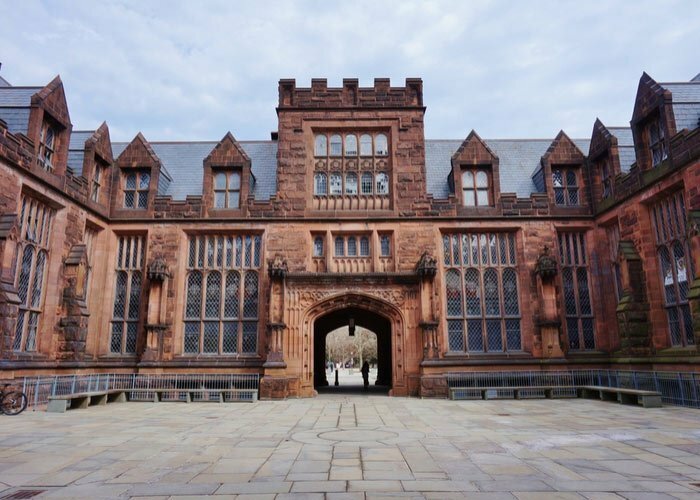 Click here to read a comparison of the top Ivy League schools and two of the oldest universities in the US, Harvard and Princeton. Named for the British co-monarchs who were reigning at the time and who gave the university its royal charter (the first for any university in the US), the College of William and Mary is the oldest university in the American South and was the first school of higher education in the US to install an honor code of conduct for students. Ranked 581-590 in the world, the college is also placed within the global top 400 for arts and humanities. It has educated three US presidents, including Thomas Jefferson. St John’s College (SJC) is a private liberal arts college which was originally founded as King William's School, the Maryland colony’s first ‘free’ school (free in this context meaning to free students through education). 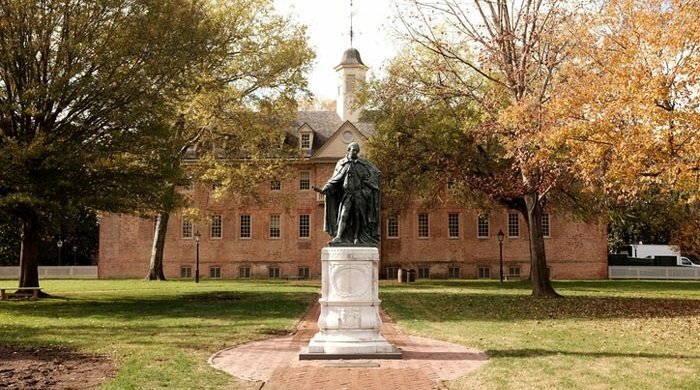 It gained its current name in 1784 and now has two campuses, one in Annapolis, the state capital of Maryland, and another in New Mexico’s state capital, Santa Fe. Although it doesn’t feature in the QS World University Rankings, the college was included among the US’ top 100 liberal arts colleges according to the U.S. News & World Report. St John’s College has no religious affiliation and is known for its small class sizes, giving students more personalized attention. Next on our list of the oldest universities in the US, Yale University is currently ranked 15th in the world and was originally founded as ‘Collegiate School’. It was renamed Yale in 1718 in recognition of a gift from Elihu Yale, a governor of the British East India Company. Also that year, Yale moved to its current location in New Haven, Connecticut, having previously been located in Clinton, Saybrook and Wethersfield. Yale was originally established to train ministers in theology and sacred languages, but by 1777 the school’s curriculum began to include humanities and sciences, and in 1861, Yale was the first US university to award a PhD. It currently ranks fourth in the world for law studies, and sixth for arts and humanities. The University of Pennsylvania (commonly referred to as Penn) was founded by Benjamin Franklin and was the first US university to offer both undergraduate and postgraduate studies. Penn was also one of the first academic institutions in the country to have multidisciplinary teaching in different faculty areas, and in 1765 became the first US university to have a medical school. Penn currently ranks 19th in the world overall, and is particularly reputed for its management and law courses, having been ranked fifth in the world for business and management. In general, the university has a strong reputation for its intensive research activity. The next of our oldest universities in the US is the small Moravian College. Located in Bethlehem, Pennsylvania, the college traces its founding to 1742 by 16-year-old Countess Benigna von Zinzendorf, who established it as Bethlehem Female Seminary, the first boarding school for young women in the US. It gained such a distinguished reputation that George Washington personally petitioned the headmaster for the admission of two of his great-nieces. 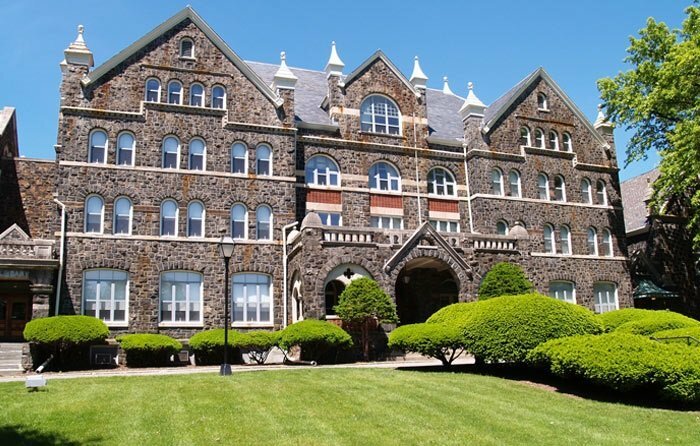 The Moravian Female Seminary, as the school became known, was chartered to grant baccalaureate degrees in 1863, and in 1913 became Moravian Seminary and College for Women, before eventually becoming coeducational when the colleges for the two genders merged in 1954. The University of Delaware (UD), located in Newark, was originally founded as ‘Free School’ and has changed name and location several times. Since Delaware was part of the Pennsylvania colony until 1776, the university was denied a charter in order to prevent a rivalry with the University of Pennsylvania. 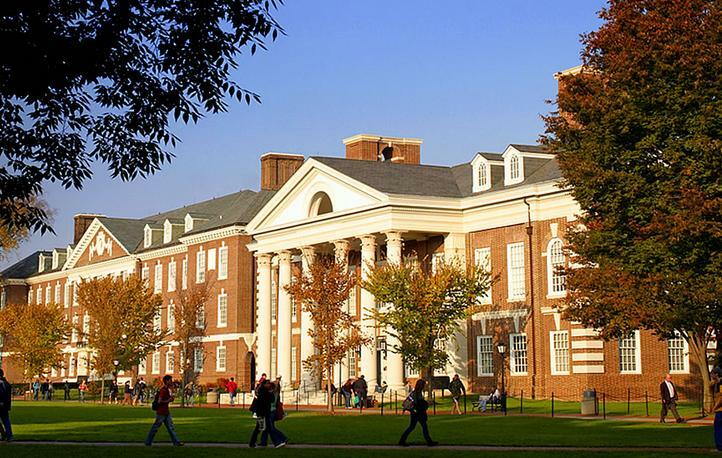 It’s not considered a colonial college as it was not an officially chartered higher education institution until 1833, after the American Revolution, but UD nonetheless has an impressively long history of high-quality teaching and is currently ranked joint 439th in the overall QS World University Rankings. Originally founded as the College of New Jersey by New Light Presbyterians in order to train ministers, Princeton University retains a number of landmarks from its rich history, such as its oldest building Nassau Hall, which dates back to 1756. Nassau Hall was technically the temporary capital of the US for four months in 1783, when the Continental Congress met there. Princeton is currently ranked 13th in the world overall, seventh in the subject area of arts and humanities, and third for politics and international studies. 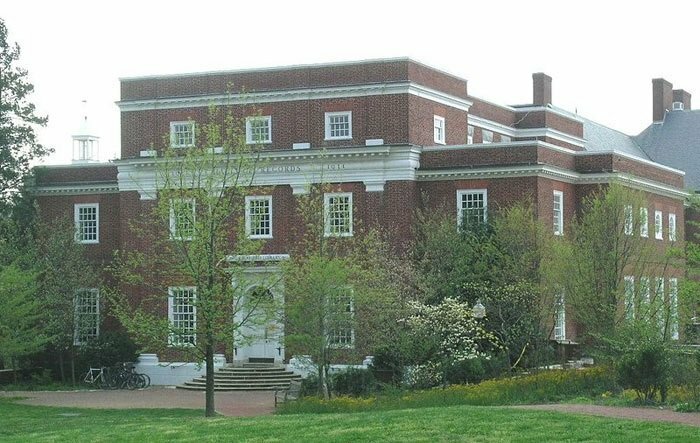 Washington and Lee University is a private liberal arts university located in Lexington, Virginia. Its first major benefactor was George Washington, who endowed the academy with $20,000 in 1796, at the time the largest gift ever given to an educational institution in the US. Previously called both Augusta Academy and Liberty Hall (the latter name was inspired by the American Revolution), the university gets the remainder of its current title from General Robert E. Lee, who was president of the university from 1865 until his death in 1870. Located in New York City, Columbia University was chartered in 1754 as King's College by royal charter of George II of Britain, and renamed Columbia College in 1784 after the US gained independence. Ranked 16th in the world this year, its colonial origins are echoed in the fact that its alumni include five Founding Fathers of the United States. 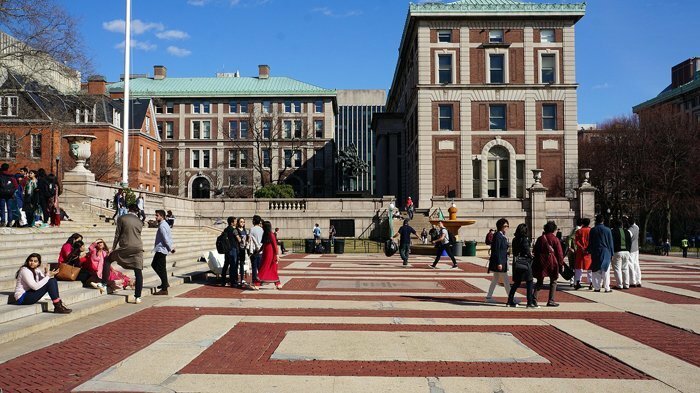 Another of the US’s most prestigious research universities, Columbia annually administers the famous Pulitzer Prize and ranks particularly well for arts and humanities (ninth in the world) and is currently the eighth best institution in the world for English language and literature. This blog post was originally published in October 2015. It was updated in June 2018. Where's the love for St. John's in Maryland? Angelika has it right! 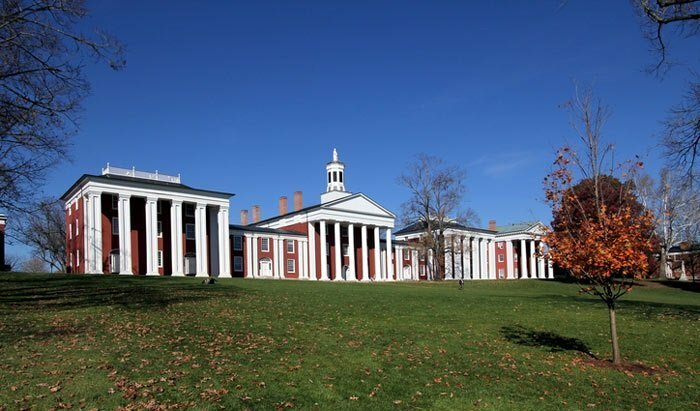 Actually, St John's College in Annapolis Maryland was founded in 1696. That puts SJC at 3rd, Yale at 4th, and so on.